Currently, Parliament is locked up with the issue related to lifting the Presidential age limit or not. The NRM legislators, who are the majority, are in support of the move, while their rivals, the opposition are fighting tooth and nail to block it. During yesterday’s sitting, MPs were seen exchanging blows and others were throwing chairs to each other, after Allan Sewanyana, the Makindye West legislator accused Ronald Kibuule, the state minister for water, for entering Parliament with a gun. The chaos, which was broadcasted live on local TV stations, prompted UCC , to order all the broadcasters to immediately stop and refrain from broadcasting live feed. The commission argued that this breaches the minimum standards, the broadcasters have to follow. 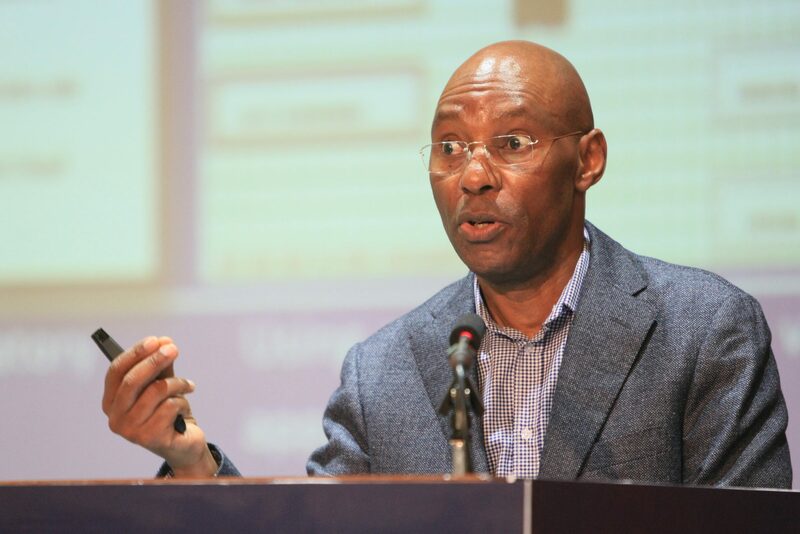 “The operators are relaying on live broadcasts which incites the public, discriminating, promoting the culture of violence among the viewers and likely to create insecurity,”Godfrey Mutabazi, the executive director Of UCC stated, in his letter, he released to all the media houses. Mutabazi also said the commission shall not hesitant to carry out enforcement for non-compliance and further breach will result into suspension. The issue of amending Article 102(b) is becoming a contentious matter, with the religious leaders advising that it should be solved through a referendum. The matter, however, is already on the Order paper, meaning, it will be solved by the legislators. A cross the country, some locals have been seen engaged in demonstrations, protesting the lifting of age limit. They accuse President Museveni of being behind it, so that he rules up to his death. In 2021, unless the article is amended Museveni will not be eliglble to vote. 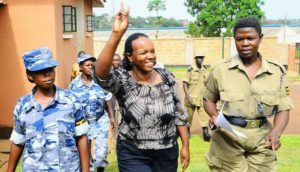 FDC’s Ingrid Turinawe is under police detention. Courtesy photo. Over 10 Makerere university students who were arrested yesterday for engaging in demonstration, the Police have released them. They were arrested in areas of Makerere and Kikoni, suburbs. There is heavy Police and military deployment at the University. And the administration was forced last week to suspend lecturers. At FDC and DP offices, Police is manning them. But the party national mobiliser Ignrid Turinawe was arrested, accusing her of planning to mobilise the women to undress at the premises of Parliament.